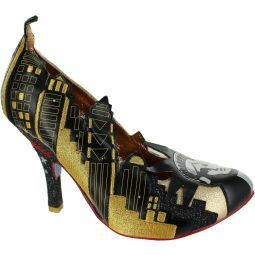 These sophisticated mid heels are super swish and will add some uber level glamour to your evening look this season. 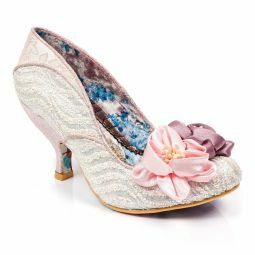 Comes with a metallic floral upper with a split front and soft bow embellishment. 10cm (4 inch) high heels.